The Ignatian Immersion course is a place where the small sparks of the fire of Ignatian Spirituality around the world have come to meet, share their story, and be inspired to fan into a flame the fire that Ignatius commenced 500 hundred years ago. Pilgrims are here not only from Australia and New Zealand, but from countries like the Czech Republic, Russia, Zimbabwe, Ireland, USA, Poland, Philippines, India, Italy, Hong Kong, Tanzania and Japan. In some of these countries, being a Christian is not an easy life. One of the Jesuits here is a young priest from Zimbabwe – Ignatius Anoonekwa Tambudzai. 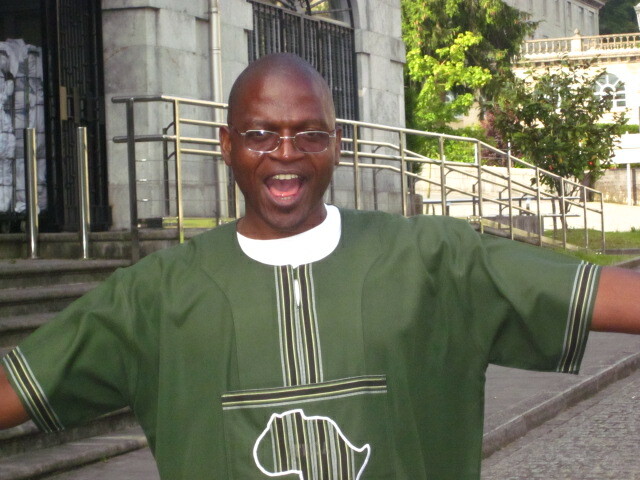 He is the Parish Priest of St Peter’s Catholic Mbare Zimbabwe. Below is an except from the parish newsletter giving a little information about what the Jesuits are doing here. The Parish is located in one of the poorest locations in Harare. Due to the level of poverty experienced in Mbare, the Jesuit fathers initiated a number of projects meant to empower the community around the parish. There are a number of social projects that deal with health issues including HIV and AIDS, self-sustaining projects such potato production, sewing, interior decor, rearing of chickens, home-based care training, providing medical drugs to the most vulnerable, youth programs like talent development and candle making among others. In addition, the parish also provides chaplains to the two schools and to Harare Hospital (second largest government hospital in Harare). The parish also runs a scholarship fund that is meant to help orphaned children with school fees and those gifted children but whose parents are incapable of paying school fees. Here is a picture of Ignatius enjoying his first visit to Loyola.